*5,50 μm available in addition. And PE material selection filter. *Under the circumstance that the supply pressure is 0.7MPa(7.1kgf/cm²) Rc. 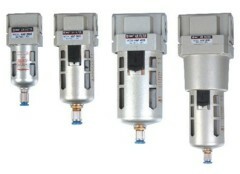 and NPT port size are available.